Lower-half of the Aphrodite statue. Credit: Jerash Facebook Page. Jerash, the present day capital of the Jerash Governorate, northern Jordan, was known as Gerasa in antiquity, and it thrived as an ancient Greco-Roman city that was given the moniker of ‘Antioch on the Golden River’. 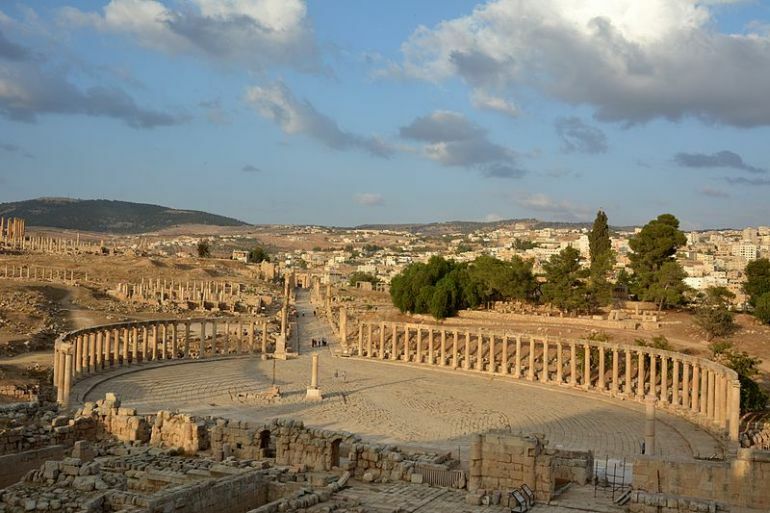 Now from the historical perspective, Jerash was (possibly) already inhabited since the early Bronze Age (circa 3200 BC); but the settlement arguably reached its apical stage by later 1st century AD when it was transformed into a trading hub. Thus came in the flourish of Roman architectural projects, including the triumphal arch of Hadrian and the Cardo Maximus of the city. But this time around, archaeologists have comes across a sculptural scope in Jerash that is more ‘Greek’ in nature. We are talking about an imposing statue of Aphrodite, the Greek goddess of love, beauty and procreation. The statue was unearthed by the collaborative effort of a French-German mission, the Department of Antiquities (DoA) and the University of Jordan. Now it should be noted that the researchers have only salvaged the lower part of this sculptural ambit – that alone rises to a height of 5.4 ft. Suffice it to say, the archaeologists are looking forth to also unearth the upper-half, which might account for a further 5 ft of length, which brings the total height of the Aphrodite statue at around 10.4 ft. Interestingly enough, the statue’s base also comprises a child-like figure, which probably depicts Eros, the precursor to Cupid. Lastly, as for the historical context of this ancient Greek sculptural design, the extant inscriptions on the specimen allude to how a request was made to gods to heal a sick emperor. But we are still not sure of the original date of the work. 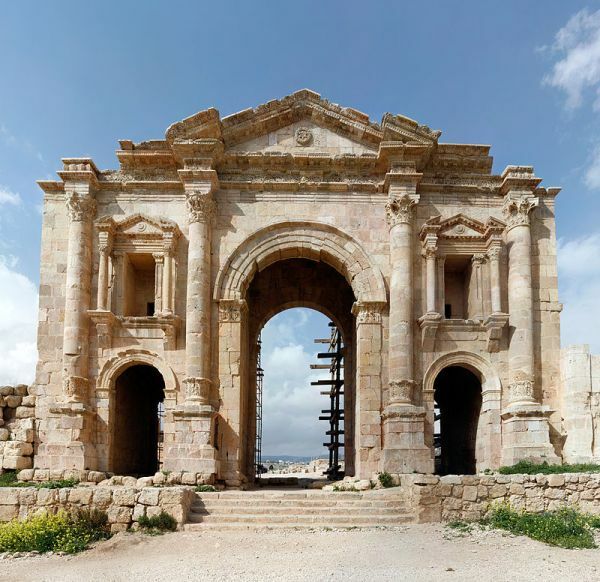 In that regard, the legacy of Jerash does hark back to Alexander the Great (or his general Perdiccas) who is said to have settled many of the veteran Macedonian soldiers in the confines of the ancient town. However such a scenario might have happened almost two centuries before the full fledged arrival of the Romans in Levant and Jordan. 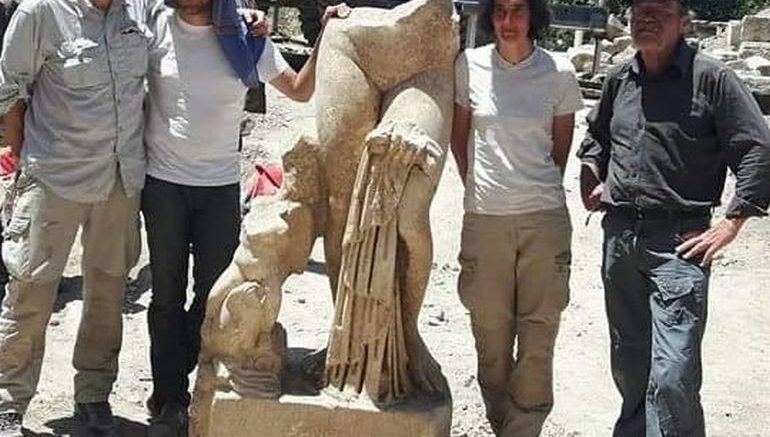 In any case, the researchers will continue with their excavations to unravel more clues, while the Aphrodite statue in itself might be displayed publicly for the tourists in the near future. Roman Oval Forum and Cardo Maximus in Jerash.